Looking for deals in Miami Beach? This historic oceanfront hotel features a private beach area and on-site dining options. There are 2 swimming pools, including an adult exclusive rooftop pool, available at 1 Hotel South Beach. Everyhing is very gooooooood!! Located in Miami Beach, Florida, this adult-only boutique hotel is just 3 minutes’ walk from the beach. A fully equipped kitchenette comes standard in each studio at Blanc Kara. Very nice breakfasts and super-cozy rooms! This Italian villa-style hotel is 1 block from Bal Harbour Beach and the boutiques at Bal Harbour Shops. It offers an in-ground hot tub and suites with free Wi-Fi. Comfortable beds in a nice one bedroom apartement. The hotel has everything we were searching: Friendly stuff, relaxing pool, quite neighbourhood with some restaurants and supermarkets (CVS, Publix). Also really close to the beach. This 1930s-era Four Seasons Hotel at The Surf Club is in the northern Miami Beaches on Collins Avenue 9.2 km from South Beach and 20.5 km from Downtown Miami. The best hotel in Miami Beach ever! Urbanica The Meridian Hotel is set in Miami Beach, 600 metres from Ocean Drive and 700 metres from Art Deco Historic District. Guests can enjoy the on-site bar. Good hotel. You can use the bicycle and go to a lot of place. Breakfast not bad. Featuring free WiFi, a restaurant, and a year-round outdoor pool, San Juan Hotel Miami Beach offers accommodation in Miami Beach. Michelle was so kind with us, helpfull, lovely!! Great room, clean, comfortable, fresh! Featuring a third-floor rooftop pool, Hyatt Centric South Beach Miami offers accommodation in bustling South Beach. Guests can stay connected with free property-wide WiFi. The beds were so comfy and the room was lovely and bright! With an open-air spa and salon, 2 heated outdoor pools with poolside lounges, and 2 restaurants, The Confidante offers relaxing accommodation in Miami Beach. Very friendly place, not too big, not too small, great personnel . This Miami Beach Ocean Reef Suites aparthotel is in the Art Deco District 2 minutes’ walk from the beach and the Versace Mansion. Studio-style suites include a full kitchen and free WiFi. Clean, comfortable and friendly staff. I’d stay here again for sure! Located within 8 km of Holocaust Memorial, Costa Norte Boutique Hotel in Miami Beach has a number of amenities including a terrace. Lovely little hotel! The town is beautiful and the beach is gorgeous as well. Offering an outdoor pool and views of the city, Oceanside Hotel is set in Miami Beach, Florida. The beach is 6 minutes' walk from the property, and beach towels are provided. Patricia was amazing! Very interested to give us a good experience in our check in! Located in Miami Beach, Hotel Pierre features free WiFi access. Guests will be just 2 minutes’ walk from the beach and Collins Avenue. The Miami Beach Convention Center is 2.9 km away. beautiful decorated hotel with paintings from differents actors and actress from hollywood. An Art Deco landmark, this hotel is situated in the North Beach area of Miami Beach, directly across from the beach and offers free WiFi in the lobby and on the terrace. Amazing experience! Thank you OCEAN SURF Hotel! This Miami Beach hotel is adjacent to the public beaches of Lummus Park and the restaurants and bars of Ocean Drive. It features plasma TVs and marble bathrooms. Very friendly staff, clean rooms and perfect location . Experience the glamour of 1930s-era art deco style at The Shepley Hotel in Miami Beach. Built in 1938, this boutique hotel serves a daily complimentary breakfast and is 4 minutes' walk from the beach.... Wonderful room. Perfect location. This luxury all-suite hotel is situated in Miami Beach’s historic Art Deco district and overlooks the Atlantic Ocean. It features a rooftop terrace, gym and modern suites with full kitchenettes. I liked everything about this accommodation. Henrosa Hotel is located in Miami Beach, 700 metres from Versace Mansion. This property is situated a short distance from attractions such as Art Deco Historic District. “Beautiful hotel” This hotel is brand new and walking distance to everything! Located in the heart of South Beach, this hotel features a rooftop outdoor pool with a sun terrace.Free WiFi is available. Luxury shopping at Lincoln Road Mall is 10 minutes’ walk away. This was my second time at The Redbury (first time for my friend) and it was even better this time. What hotels in Miami Beach are good for couples? These hotels in Miami Beach are highly rated by couples: Four Seasons Hotel at The Surf Club, Sun Harbour Boutique Hotel and 1 Hotel South Beach. What are the best hotels in Miami Beach near Ocean Drive? Some of the best hotels in Miami Beach near Ocean Drive include Sense Beach House, Ithaca of South Beach Hotel and The Marlin Hotel. How much is a hotel in Miami Beach for this weekend? The average price per night for a 3-star hotel in Miami Beach this weekend is £524 or, for a 4-star hotel, £808. Looking for something even fancier? 5-star hotels in Miami Beach for this weekend cost on average around £2,089 per night (based on Booking.com prices). How much is a hotel in Miami Beach for tonight? On average, it costs £180 per night to book a 3-star hotel in Miami Beach for tonight. You'll pay on average around £333 if you choose to stay in a 4-star hotel tonight, while a 5-star hotel in Miami Beach will cost around £734 (based on Booking.com prices). What are the best hotels to stay in Miami Beach? The Marlin Hotel, 1 Hotel South Beach and Blanc Kara- Adults Only are some of the popular hotels in Miami Beach. How much does it cost to stay in a hotel in Miami Beach? On average, 3-star hotels in Miami Beach cost £135 per night, and 4-star hotels in Miami Beach are £253 per night. If you're looking for something really special, a 5-star hotel in Miami Beach can on average be found for £510 per night (based on Booking.com prices). What is the best neighbourhood to stay in Miami Beach? South Beach, Surfside and Bal Harbour are popular with other travellers visiting Miami Beach. What hotels in Miami Beach have nice views? Grand Beach Hotel Surfside, 1 Hotel South Beach and Sea View Hotel have received great reviews from travellers in Miami Beach regarding the views from their hotel rooms. What hotels in Miami Beach offer an especially good breakfast? For hotels in Miami Beach that serve up a highly-rated breakfast, try Urbanica The Meridian Hotel, The Palms Hotel & Spa and The Marlin Hotel. Which hotels in Miami Beach are good for families? Many families visiting Miami Beach loved staying at The Marlin Hotel, Four Seasons Hotel at The Surf Club and 1 Hotel South Beach. A Millionaire's playground, Miami Beach is all about sun, sea and sand. Popular as a spring break destination, its miles of pristine sands shelve gently into the turquoise Atlantic Ocean. Lining the beach are tall palm trees and the promenade, famous for the beautiful people that go rollerblading by. Add to this a warm, subtropical climate and you can see why many celebrities have chosen to set up home in Miami Beach. You might even spot some of them shopping in the designer boutiques along Lincoln Road. And if your budget doesn’t quite stretch that far, there’s still a great range of shops with more moderate prices, including Aventura Mall and CocoWalk. The city also has its fair share of culture, including the Art Deco District, which houses the world’s largest collection of Art Deco architecture, including some of the brightly-lit Miami Beach hotels on Ocean Drive. 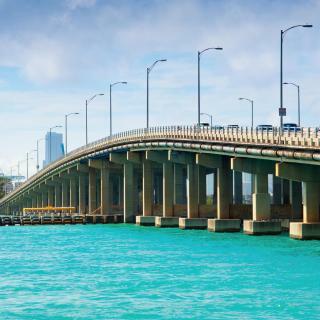 Comprising a series of islands just across Biscayne Bay from Miami (the route you take from Miami Airport), this city has a heavy Latin American influence, which is evident in the cuisine and fantastic nightlife. Whether you choose the Miami Beach accommodation in the North Beach, Mid Beach or South Beach areas, a Cuba Libre - rum and coke - is never far away. We were on the north beach, it’s a beach with rubbish just like any other busy beach, It’s pretty run down and maybe past it’s day. Eating places plentiful and reasonable. If you want to do Miami on the cheap then stay here. Great for beach bums, families and couples. Great for beach bums, families and couples. Free trollies around all beaches. 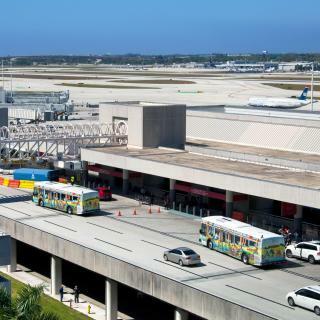 Easy access to other mall centres by cheap buses and to downtown miami. Bring plenty of greenbacks for restaurants though. Ocean Drive Art Deco buildings in the Miami Beach setting mean this is a truly a unique travel experience. Plenty of restaurants; great beach, relaxed environment and feels very safe due to what feels like an enhanced police presence. Pedestrian friendly so no need to hire a car. The was nice temperature wise, and the sand was perfect ! There are some things to see, but Miami is more a beach city. There are some things to see, but Miami is more a beach city. Go to the beach, have party and so. We weren't there the whole time, we did few trips from there to Everglades, Key West and Bahamas. In Miami we were only 2-3 days and it was enough since we weren't there to stay on the beach. Great restaurants along Collins ave.
Great restaurants along Collins ave. great beach with plenty of activities available, variety of restaurants as well as street food places. Easy car rentals around, great parking spaces, good breakfast places. proximity of both leisure and shopping facilities. We stayed at 1 Hotel South beach for 5nights after a week in New York. We have stayed at some of the best hotels in Europe, America & the Middle East and 1 Hotel South beach ranks in the top few hotels we have stayed at. It is beautifully designed and is very comfortable. The staff are extremely friendly and will take care of your every need. Fantastic location on south beach right on the beach. There are 4 swimming pools and great gym facilities. The food in all of the restaurants were great. Cannot recommend this place highly enough. For the price (compared to other hotels on South Beach) it was great value for money. The lobby and pool area were lovely and probably the highlights of the hotel. The room was basic (some might say outdated) but had exactly what we needed - the beds were super comfy and clean and there was a TV. The concierge on the day we arrived was helpful when we asked about directions and getting around. The free Miami Beach trolley stops just outside the hotel (one block away if you're heading South) and it was a great service. 3 great things about this hotel: 1. Location is great. On the quieter side of south beach but still a 5 min walk to all cafes and restaurants. Has a great restaurant right next to the hotel 2. 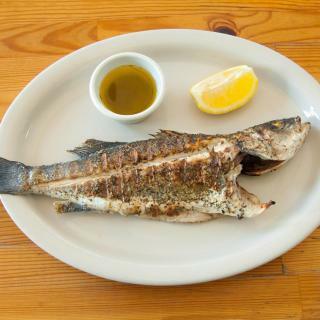 The restaurant in property - Santorini serves great and rather economical breakfast. Did not go there for lunch and dinner but by the looks of it, seemed to be a very popular place. 3. Suite was large and spacious with a very nice balcony. Rooms had a lot of space to walk around, does not feel cramped at all. Updated, beautifully decorated and spacious rooms. Mini fridge and safe deposit box, small desk and premium TV channels. Boutique size, hip hotel. Friendly and professional staff, handled well requests. Located in best part of south beach. Resort fee totally justified for including 2 sun beds, umbrella and amenities. Travel often to Miami, familiar with local standards and offers. This is a great find. I will surely rebook it on future trips. Special thanks to front desk supervisor Marc !! If best of South Beach is to be found South of 4th St, the view and curb appeal when stepping out of Blank Kara is unmatched. A quiet, small hip hotel with unconventional, spacious studios, a block from the beach, South Pointe park and best eating spots in Miami Beach. The quality & vibe is pervasive at every level, including the informal, helpful front desk staff. I happily return here many times a year and it never fails. Great location, just a minute from the beach. The hotel provides free beds and umbrella just a quick stroll on the right entering the beach. Nice little rooftop, coffee bar downstairs for breakfast and patio outside. We loved our stay to explore south beach(hotel provides bikes as well for about the same cost as city bike). All this is in the perfect area, still quit but close to all the buz. Great deal for the money. One bedroom apartment with panoramic view of the ocean. I was skeptical when I booked but was extremely happy with the building which has two pools, beachfront and has been completely renovated. I would definitely stay here again and enjoy a bigger space with a better view than stayed at any of the premium hotels on Miami Beach and South Beach. Leslie is the most wonderful person. She’s eager to help and very very nice. It’s my second time in this hotel and since the 1st there’s nowhere else I’d consider stay when in Miami Beach. It’s clean, comfortable, close to shops and public transportation, has a public parking lot just beside it and North Beach is waaaaaay more relaxing than the crazy south. Best location, friendly staff and nice hotel. Walking distance to the beach and very close to Ocean Drive (without all the hustle). Also located in the perfect place to exit South Beach by car/Uber. Nice restaurants in Washington Av from 5th to 1st streets. Best area to stay and best area for the beach too! The hotel has been updated, and the room I stayed in was ultra modern with a lot of unique design touches. It was also much larger than those in many South Beach hotels. There are no pools or outside seating, which would have been nice, but the hotel itself was much better than many on the beach. Good value. Great location, on Ocean Drive, 100m from the beach! Amazing breakfast every morning for free. Everything in South Beach is walking distance away and theres city bikes to rent on every block. The hotel has free beach towels that you can take from reception. Friendly staff! Would stay there again. The staff was great! The rooms were comfortable, and the bar and restaurant there is the absolute best! The location is a plus! Located on the most popular strip in South Beach and a beautiful view of the Ocean behind us, and All access to the beach. I most definitely be staying again. Location can’t be better, right on South Beach, everything is walking distance. Hotel is clean, rooms are very comfy, the rooftop pool just a bit small, but hey, ocean is 2 min walk. 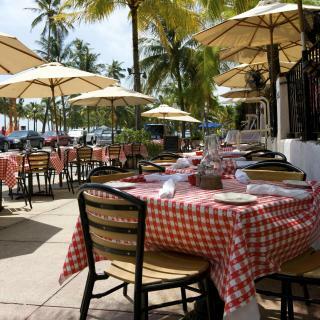 Many good restaurants (avoid eating on Ocean Drive) on Collins, Washington and further back. The hotel is clean and cozy, close to the south beach. Carlos and Charlie are cute and nice guys, give us lots of advise on restaurants and directions. If you come to the Miami Beach, don't hesitate to stay here, Carlos and Charlie will let you feel at home. Great hotel. Great design. Very comfortable bed. Perfect location in front of South beach. Ask beach towels at the desk. Top Class hotel, will be back!